Name variations: Sampy, Sampie, Sampoy, Samfry. Birth date and place 18 Nov 1822 Chelsea, London, England. Physical Description Height: 5 ft. 9³/8 ins. Complexion: sallow. Eyes: grey. Hair: brown. 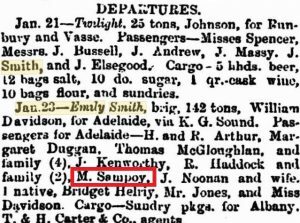 Death date and place 16 Aug 1878 Geraldton, Western Australia. 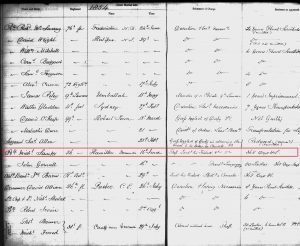 Will and Probate Letters of Administration: 23 Sep 1878. Probate: 27 Sep 1878 Supreme Court of Western Australia. Regiment(s) 56th (West Essex) Regiment. Regiment No. and Rank #1865 Private. 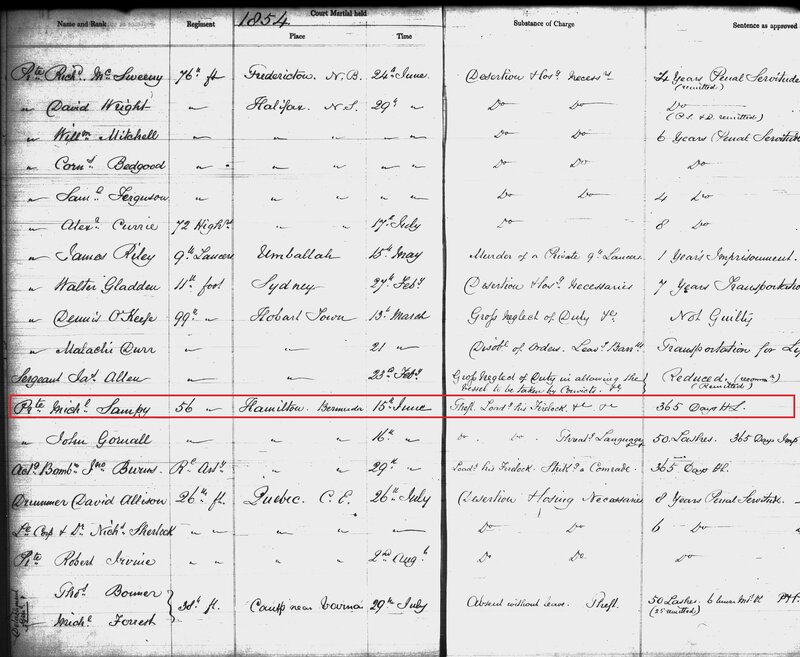 Attestation date and place 18 May 1840 London, Middlesex. Service/Campaigns Gibraltar 4 years 7 months. Bermuda 3 years 7 months. East Indies 4 years 11 months. Musters 1841 Newry & Armagh [WO12-6580]. 1861 Colaba Bay, East Indies [WO12-6603]. 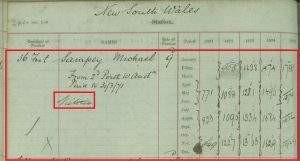 Regimental Courts Martial Tried and Imprisoned for Habitual Drunkenness 29 Dec 1853 to 22 Jan 1854. Tried and Imprisoned for Insubordination 7 Jun 1854 to 29 Mar 1855. 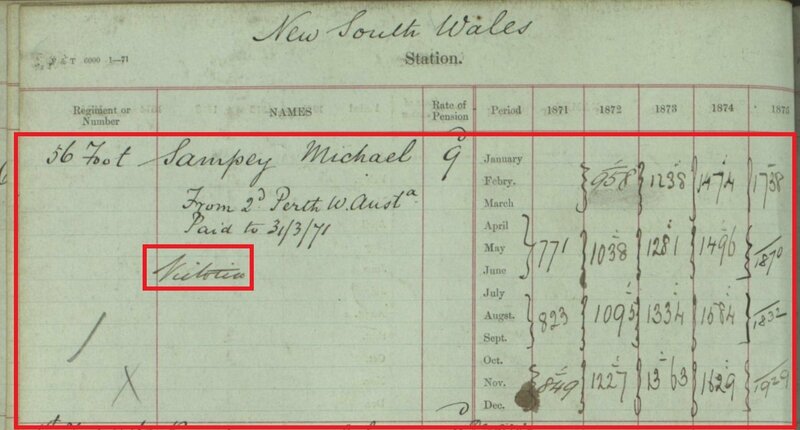 Tried and imprisoned for Drunk on Parade 28 Aug to 10 Oct 1857. General or Field Court Martial Tried Hamilton Bermuda 15 Jun 1854. For theft, loaded his firelock etc. Sentenced 365 days Hard Labour [WO90-3]. See sidebar. Note: This trial not recorded on WO97 Chelsea Pension discharge. Discharge date and place 19 May 1863 Colchester. Length of Service 21 years 183 days. Post Discharge Residence Chelsea, Middlesex. Post Discharge Pension District 2nd W. London, Woolwich, 1st E. London (1863). 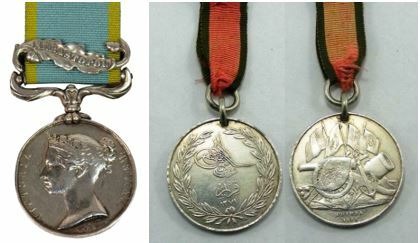 2nd Perth WA (1865-31 Mar 1871). Melbourne (1871-31 Mar 1876). WA (1 Apr 1876). Misc. Newspaper Articles Inquirer & Commercial News 25 Jan 1871. 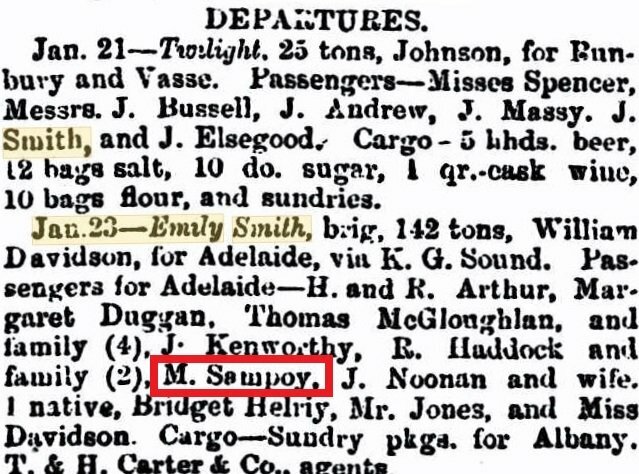 Perth Gazette 27 Jan 1871. 23 Jan 1871 Dep. Fremantle to Adelaide en route to Melbourne.